Don’t Pay the Ransom, I’ve Escaped. Beginning right with the title you know this isn’t going to be a “serious” book — which is to say that the author, WHUD radio personality Mike Bennett, has the gift of not taking himself too seriously. 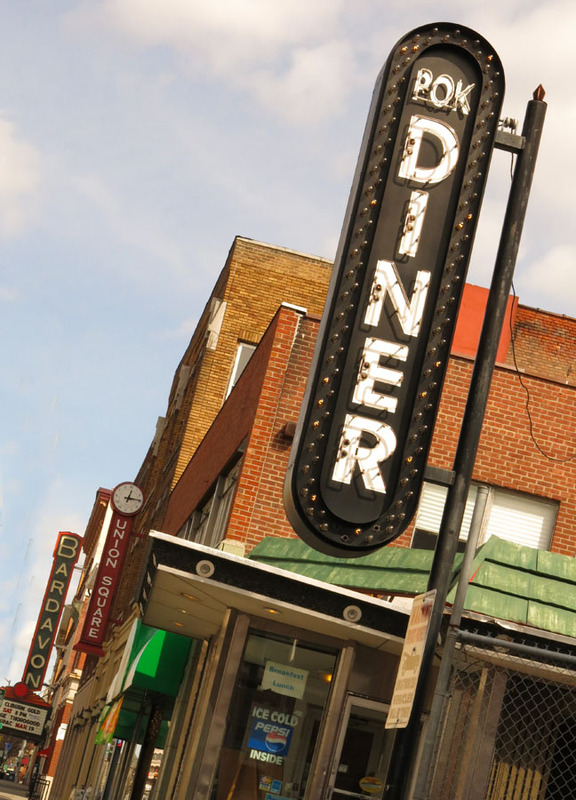 This is a valuable asset when you live your life as a highly exposed local celebrity, and Mike has a hilarious take on what it’s like to be recognized when you’re trying to enjoy a meal in a local restaurant. For those of you who don’t know, Mike Bennett is the co-host, with Kacey Morabito, of Mike and Kacey in the Morning on the Hudson Valley radio station WHUD. This award-winning duo is about to celebrate 14 years together playing “one great song after another,” presenting the news, traffic, and weather, and running contests with prizes ranging from New York State lottery tickets to vacations in the Bahamas. As the book’s subtitle explains, Mike’s book recounts his Memories of a Life on the Radio. But that’s not all. It includes his brief but brilliant stint as a freshman at Orange County Community College — from which it ought to have emerged right then and there that Mike had the gift of gab–, his lightning career (that’s how fast it went) as a real estate salesperson, and, told with his delightfully self-deprecating humor, his brush with formal training as a broadcasting professional. Someone like Mike Bennett doesn’t emerge suddenly and unexpectedly like Venus springing fully formed from the head of Zeus, and so we also learn about the important things that went on at his alma mater, Monroe-Woodbury High School. Here the lens widens to give us a broader context of life in the Hudson Valley as Mike recounts how the students would sprint across Route 32 to a cow pasture in which there stood a large tree — large enough for the students to hide behind and smoke without being caught by the school authorities. Where that cow pasture and that tree once is now Woodbury Common Premium Outlets, one of the world’s largest shopping centers, the presence of which makes for (in Mike’s words) some “truly awful traffic jams.” I dare say I speak not only for myself when I say I fervently wish it had remained a cow pasture. We also get several insights into what goes on behind the scenes during the WHUD morning show, including the grueling task (!) of interviewing famous celebrities. Here I am with Mike and Jim at Fran’s Hallmark in Monroe. both on and off the air. Outstanding is their annual stint broadcasting from the Maria Fareri Children’s Hospital as a fundraiser for this incredibly competent and compassionate facility. Mike also partners with meteorologist Jim Witt, whose long-range weather calendars are sold to raise money for the Hope for Youth Foundation. 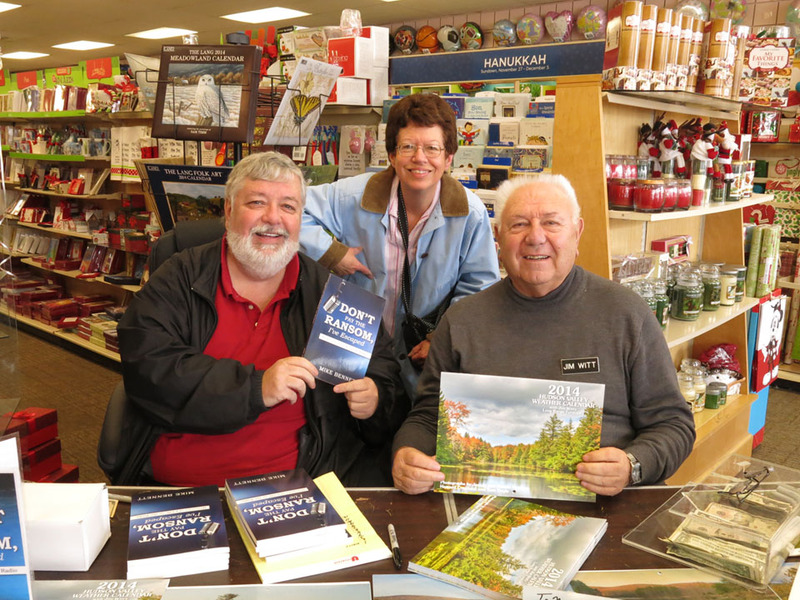 In the closing weeks of the year Jim appears at various venues to personally sign and sell the calendars, and I recently caught up with Jim and Mike together, signing their calendar and book respectively, at Fran’s Hallmark in Monroe. By the way, it’s not too late to buy this lovely calendar — you get not only Jim’s long-range weather forecasts but also a year’s worth of great Hudson Valley photos. Closing question: Kacey, when are you going to write your radio memoirs? 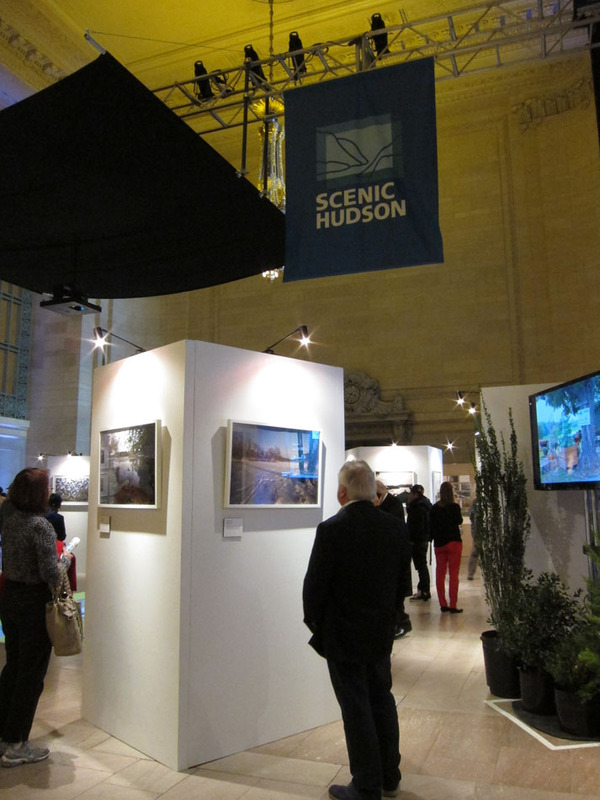 The fiftieth anniversary of Scenic Hudson was celebrated yesterday with a magnificent exhibition in Grand Central Terminal’s Vanderbilt Hall. Twelve outstanding photographers from the Hudson Valley contributed their work that (to quote from the special brochure) “resonates with the organization’s mission and major achievements while also addressing the complex conservation challenges on the horizon.” The variety of content and artistic approaches displayed by these photographers was amazing–a tribute to the beauty and sublimity of the Hudson Valley landscape and to the challenges that face Scenic Hudson in ensuring that this beauty and the ecological health of our region are preserved for all the future. 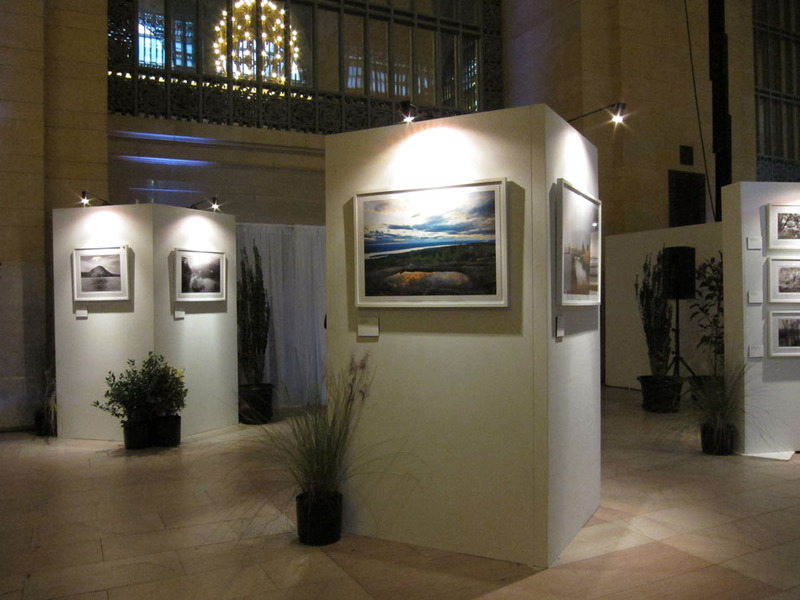 I would imagine that not since Robert Glenn Ketchum published his book The Hudson River & the Highlands has any photographer consistently documented, in an artistically compelling way, those conservation challenges the way Susan Wides and other artists in this exhibition have done. Susan’s work is inspired by the Hudson River landscape painters of the 19th century, and let’s not forget that the founder of the Hudson River School, Thomas Cole, is considered one of the first spokespersons for the American conservationist movement. And then there are the photographers who speak eloquently by capturing this beauty so as to remind us of what a treasure we have and, by implication, what we stand to lose if we don’t act with foresight. As always, Beacon-based Robert Rodriguez Jr. is a very great favorite of mine, and I sometimes visit the RiverWinds Gallery there to treat my eyes (and my soul, dare I say) to his work on display. 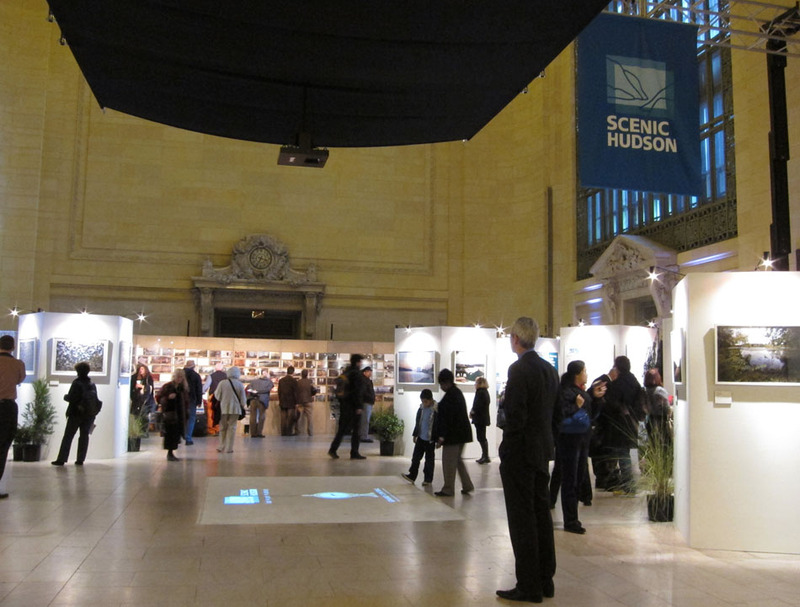 Scenic Hudson is responsible for some sixty parks that they have created or enhanced, and I’m grateful to Metro-North Railroad, and to the fine-art photographic paper company Canson Infinity, who donated the paper on which the photos were printed, for bringing to the attention of the thousands of commuters who pass through Grand Central Station’s portals each day the fact that it’s Scenic Hudson they have to thank for so many of the places that they likely visit and enjoy on weekends. Just to name a few that I’ve actually visited: Burger Hill, Esopus Meadows Preserve, Foundry Dock Park, and Walkway over the Hudson. And in visiting their website I was delighted to learn that on Thursday October 24 they celebrated the opening of the new park at the West Point Foundry Preserve at Cold Spring. Rest assured, I’ll be blogging about this historically significant site before long. Here I am with radio host Warren Lawrence after our interview. 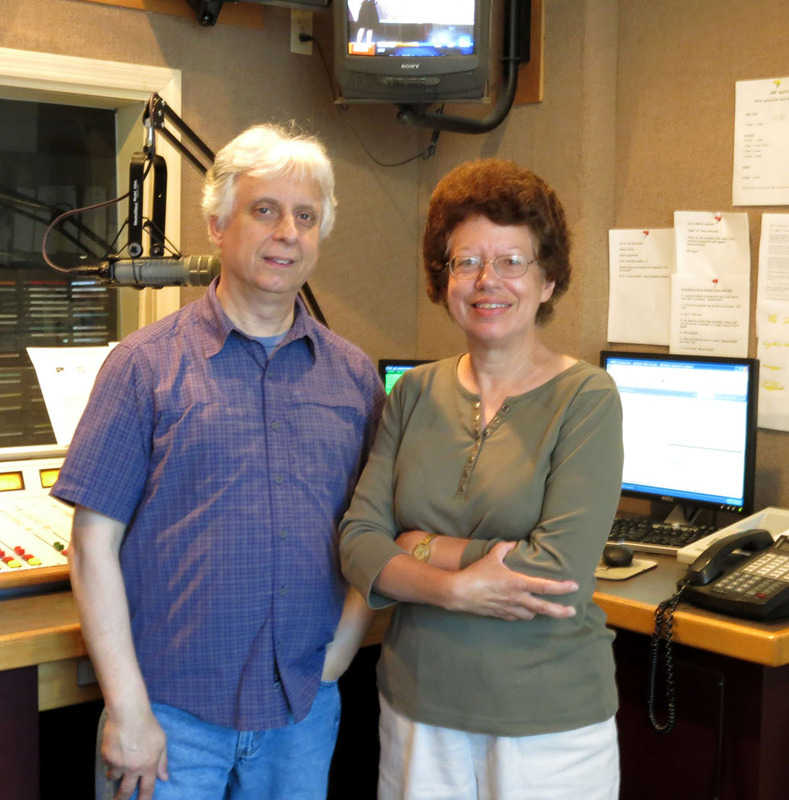 Last week I drove up to Kingston to do a radio interview promoting our new book, Historic Hudson Valley: A Photographic Tour. While it would have been possible to do this by phone from home, I prefer face-to-face contact and getting actually to meet people. In this case, it was well worth the trip. Warren Lawrence, who is the Program Director for WKNY (1490 AM) and who invited me, is also the Morning Show host, and it was energizing to see him in action. It would be hard to find someone more dedicated to this work, and once we got talking, we were on a roll. I hope he enjoyed it as much as I did! 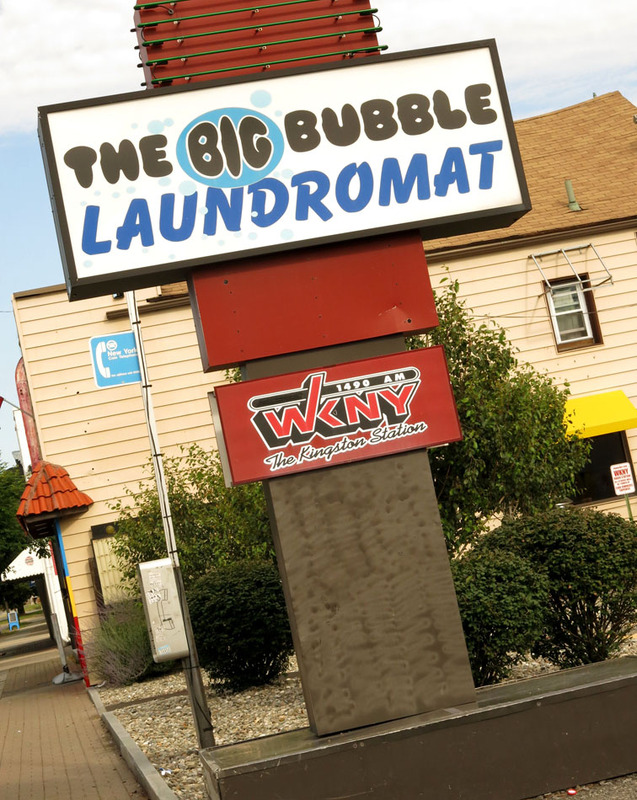 When Warren told me the radio station was next to the Big Bubble Laundromat, it proved very easy to find! where I live, I listened to Warren’s morning program a couple of times streaming online to familiarize myself with the content and dynamics. It is definitely at least a notch or two in quality above some other local stations, including some FM stations whose signals reach much farther. 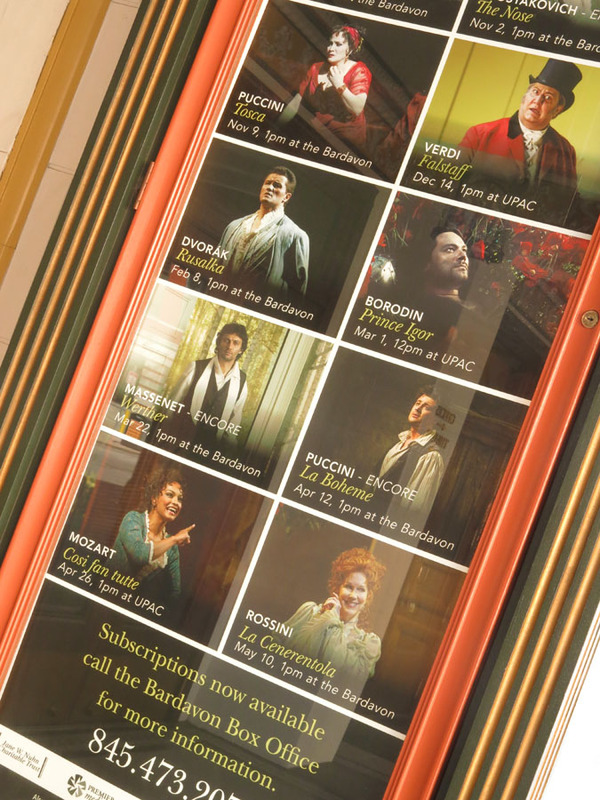 Notably, neither the music nor the talk revolve around the latest celebrities. 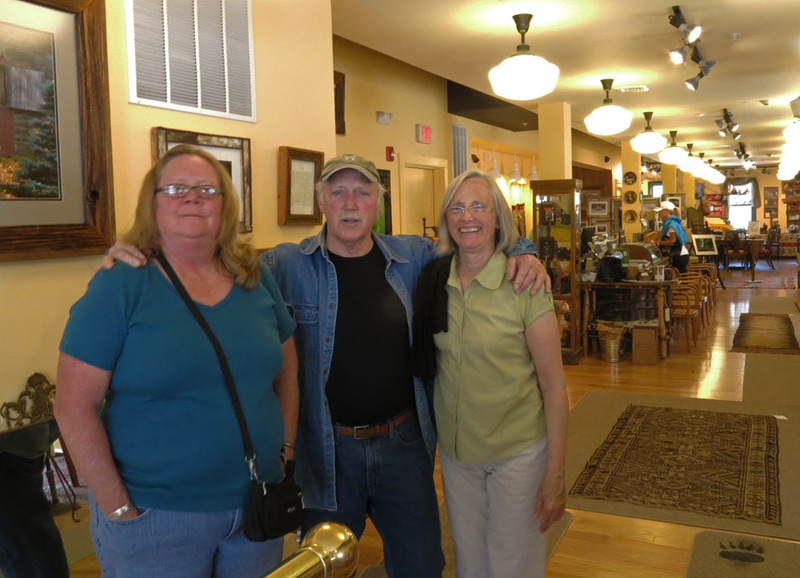 Another recent guest, for example, was a lady from the Hudson Highlands Nature Museum in Cornwall, Orange County. It’s gratifying to see this lovely museum being publicized as an alternative to water parks as a place to take children on a summer day. 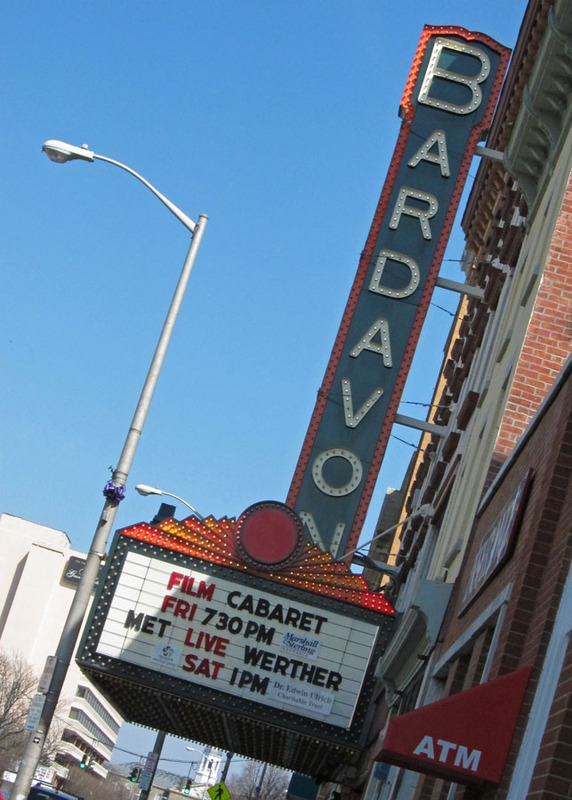 And as for the music–well, when Warren played Roberta Flack from 1972 singing “The first time ever I saw your face,” I knew I was far away from being beaten over the head with the Top 40. If you’re driving north on the Thruway in the Hudson Valley and are looking for quality radio to keep you company, you should be able to pick up WKNY’s signal beginning around Exit 17 (Newburgh). 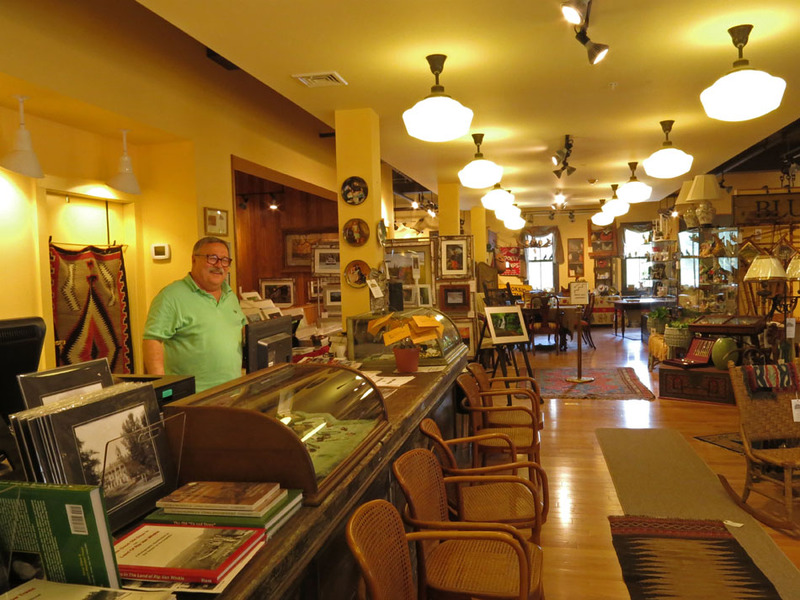 When I left Kingston after this delightful experience, the signal stayed with me all the way to Rhinebeck, my next stop (more about that another time), across the Kingston-Rhinebeck Bridge to the east.